It’s really special to get to go birding with your dad just before Christmas. It’s even more special when your travels take you to a quiet cow pasture and let you gaze upon two Whooping Cranes. Whooping Cranes are one of the rarest birds in the United States. Their population in 1941 was a grand total of 21 birds. Thanks to conservation efforts that included establishment of new populations and an ultralight project to teach the birds to migrate, there are now around 600 birds worldwide. Merry Christmas to you too Jess. I miss you. 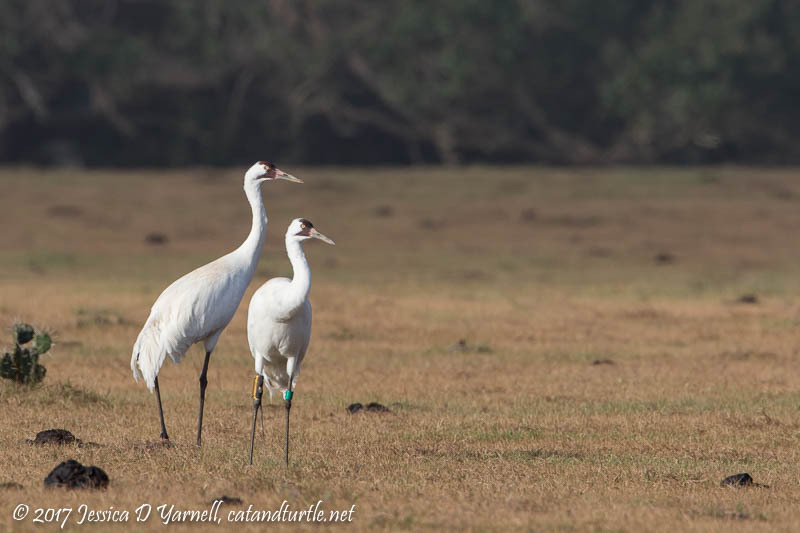 Love the whooping cranes … I don’t think that I’ll get to see them here, so I’m very thankful that I have in Florida. Love your touch of white for your Christmas. We got a VERY LIGHT flurry last night at some point, but it’s already gone at 10 am. I still think it counts. Hugs to you my friend!